But I can't figure out, how often and how much for water changes? Will water changes in this circumstance harm the system more than help it? What do you think? Do change 30-50% of the aquarium's water every 1-2 weeks. This is variable based on fish load and filtration, but not on the aquarium's size. From 1 gallon to 100 gallons, 30-50% is a good rule of thumb. This removes all the toxins and excess nutrients that build up in the water. Don't rely on filters to clean the water. Filters don't remove excess nutrients and toxins from the water, they just trap it so it can be removed easier when you clean your filter. However, filters also can't remove many things effectively. Do make sure the water you use to fill the aquarium back up is the same temperature as the aquarium water. Drastic changes in temperature stress the fish and can lead to disease and even instant death in extreme cases. Don't forget to add a water conditioner that removes chlorine and/or chloramines if you are using tap water. These can kill fish and even plants if not removed. Water conditioners also often remove heavy metals such as copper that may harm plants and fish. 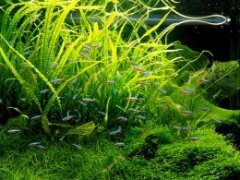 Do water changes after courses of medication, after stirring up the substrate doing a re-scape, or after accidentally overdosing anything, including fertilizers. Water changes help to "reset" the aquarium by removing dissolved waste and chemicals. They are often a cure-all for many aquarium related problems, and rarely cause harm if done in moderation. Don't remove more than 50% of the water during a water change if you can help it. 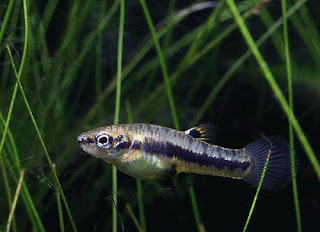 Sometimes, more than 50% is needed in extreme cases (such as ammonia spikes or overdoses), but this can put stress on the fish and the beneficial bacteria in the aquarium. It can lead to rapid changes in water parameters (such as pH) that are as stressful to fish as rapid temperature changes. Good tips, thanks. I just performed a water change, but only changed about 25% to maybe 30%. I'll change a little more the next time. to above: 25-30% is sufficient. I tend to think 50% is too much of a shock to your fish, especially in newer tanks. The beneficial bacterias doesn't live in water, only harmfulones does.Good bacterias live on biofilm on surfaces: subtrate, plants and filter. You dont do any harm to ok-bacterias by waterchange. You CAN hurt your biological filter ( good bacteria )by doing huge water changes +50% often. If you take away all of the food (toxins) it will weaken if not kill of some of the bacteria. How do you avoid a temperature change when doing the water change? I can't use tap water because we have a water softener. I can use the outside faucets, because they aren't on the softener, but then I can't control the temperature. This is an 80-gallon tank, so that's too much water to heat on the stove. I know this is old but for anyone else who comes across this, one way would be to fill a rubber maid container with water from the outside tap. Boil some water on the stove in a large pot and then add it to the other water until it's at the correct temp. A few of gallons of boiling water should be more than enough to raise the temp the few degrees needed. Where do you add the Water Conditioner. In the Aquarium or in the bucket? If in the bucket add as much dechlor for the new water being added. If adding to the tank you need to add enough dechlor to treat the entire tank volume. I use Mr. Aqua rimless aquariums without any sort of top. This allows for considerable evaporation over 24 hours, and I usually top off the tanks every two days. The benefit here is that my fish are always getting fresh water, and this is very apparent in how lively they are. They also have very healthy appetites ( I usually feed them two - three times per day), and eat heartily at feeding time. I believe that the open tank method is much healthier for fresh water fish in the longer run, because there is less chance of dangerous pathogens overrunning your aquarium. spawning more regularly. If you are concerned about fish jumping out of an open tank, you can always purchased some netting and place it over the top of your aquarium to prevent this from happening. I did a water change over 50% volume every week before which last for a year. What I experienced was that the black hair algae came out together with blue-green algae. The condition of the water was worse very much. I had tried to re-start my tank, replaced the entire substrate, cleaned all rocks and thoroughly sterilized my tank but still re-occurred. Off course, I tried to find out the solution/reason and trt to overcome the problem which I had done were to strengthen the filtration power (purchased one more canister), used some proprietary product which claims it can kill the blue-green algae but all were in vain. One day, I read a article regarding to the black-hair algae that insufficient carbon dioxide dissolved in the water is one of the factors. And the article points out that excessive water change would change the carbon dioxide level and so it suggests to have smaller volume water change in frequent rather than larger volume in once. So I adopted the suggestion that one-fourth water change every week for last 2 months. The situation gets better, at least no blue-green algae come back again and the black-hair algae keep stable. Hello, how much time should I wait after adding water conditioner to the new change water (in the bucket) before putting it in the tank? I only do a 10-15% waterchange every 1-3 week and my aquarium is totally fine. It's a heavily plantet aquarium and all waterlevels are fine! Two times a left the aquarium for 4 weeks without waterchanges. No problem at all.